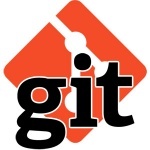 Git is a version control system (VCS) for tracking changes in computer files and coordinating work on those files among multiple people. It is primarily used for software development, but it can be used to keep track of changes in any set of files. As a distributed revision control system it is aimed at speed, data integrity, and support for distributed, non-linear workflows.